GumBa is the man of solidity. In every game he has played a safe yet greedy macro style that has just enough to push back inefficient all-ins, allowing him to secure a guaranteed economic lead. In all four games so far, he has been taking as many bases as possible at every point, and in two of the games, he has gained an insurmountable macro advantage. 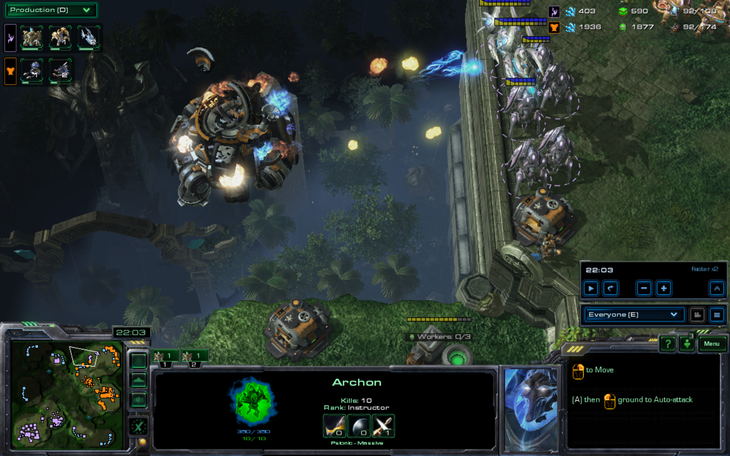 Even in game 2, when defeat looked certain, he turtled long enough to get a colossus deathball while keeping his opponent distracted using heavy zealot warp ins in the main base. The_Templar is the man of random. In every game, he seems to pull out a completely unorthodox cheese or aggressive build, and he has pushed each of his builds to the limit. He showed his ability to play macro in games 2 and 3 but showed a lot of inconsistency in being able to deal with pressure. His thinking is outside the box (which, as we'll see, is ironic in this next game) at all points and he knows exactly how to make his opponents as confused as possible. However, there can only be one winner. 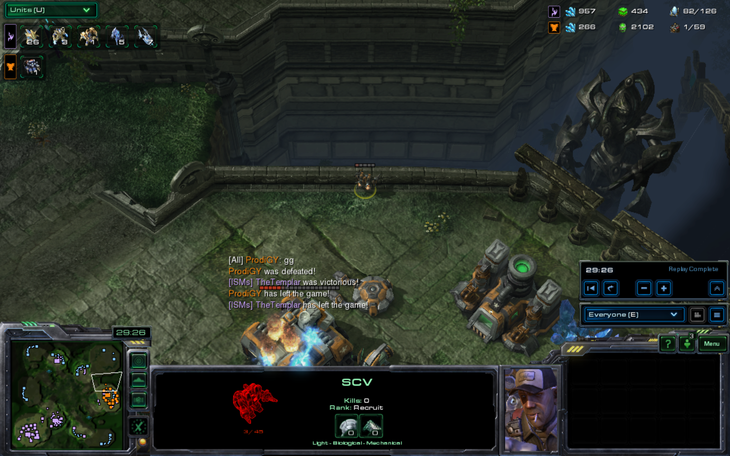 And currently, GumBa is leading with a nearly insurmountable lead of 3-1, winning on mostly macro maps. 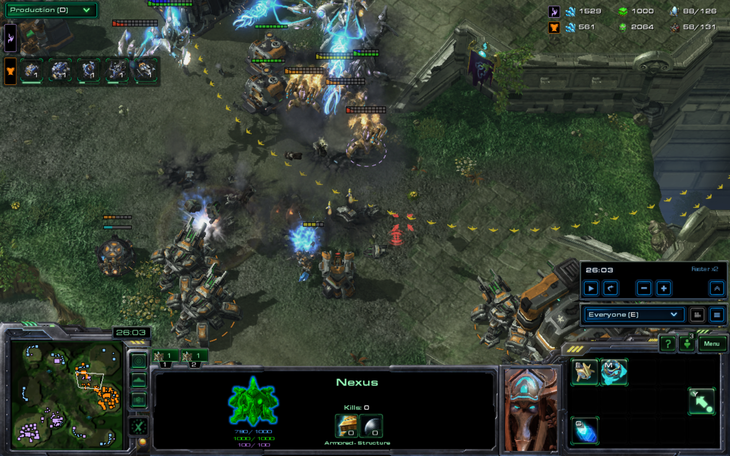 The fourth game was a humiliation for The_Templar, who got crushed by only queens and zerglings despite having all the tech and time in the world. 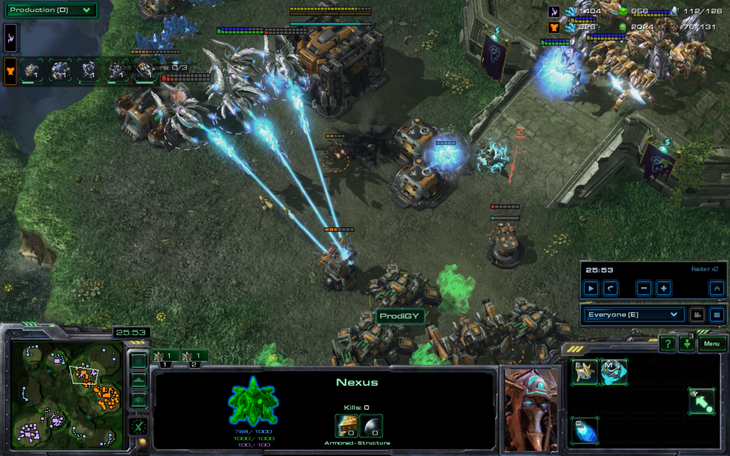 Proxying a nexus didn't help either. The game begins normally enough. 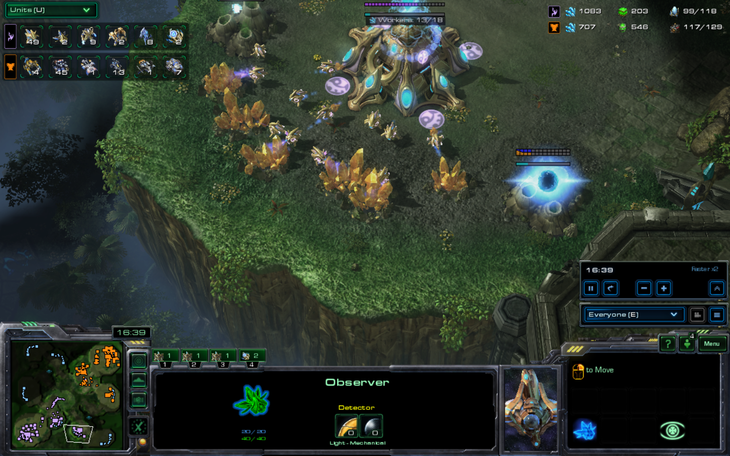 It's a PvT, a matchup between the main races of both players, so there's no zerg cheese going on. The_Templar criticizes GumBa for not employing a build normally used on habitation station. The only reason the scout was this early was so that The_Templar could criticize him. Suddenly, a very unexpected plot twist occurs. That's right. Both players made a gentleman's agreement to only use WoL units. While this later lead to confusion from both sides, it suddenly made the game way, way more interesting. The_Templar's weakness is normally the mothership core. He never remembers how to use it, despite relying on it way too much, so forbidding it is actually good for him. 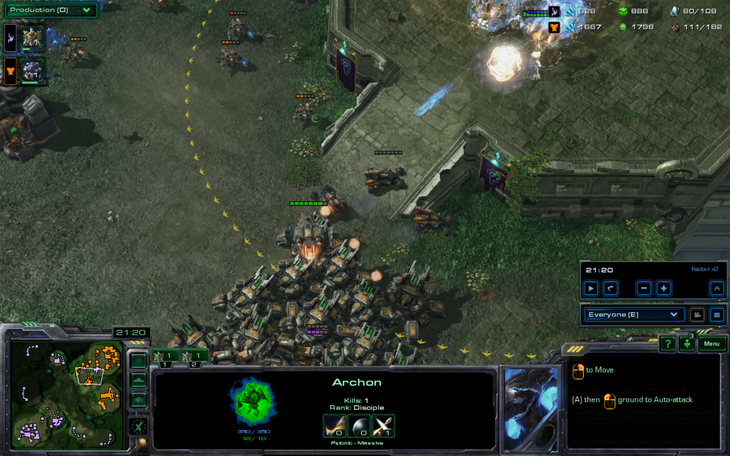 Additionally, his preferred the PvT style of HTs, which has become weak due to widow mines. 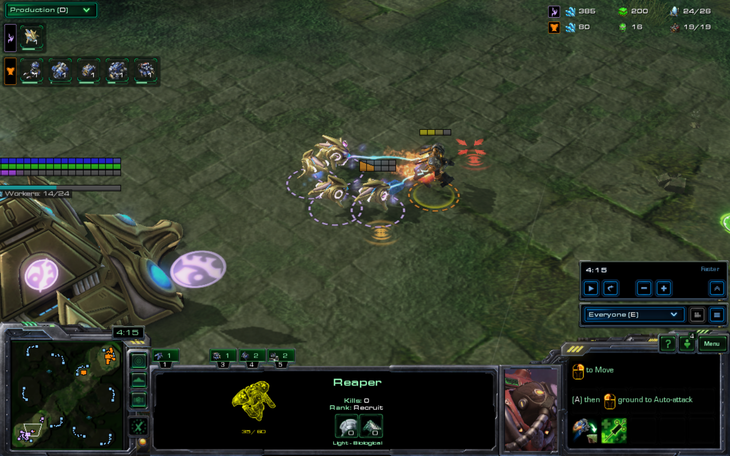 Without widow mines, The_Templar can play fearlessly. 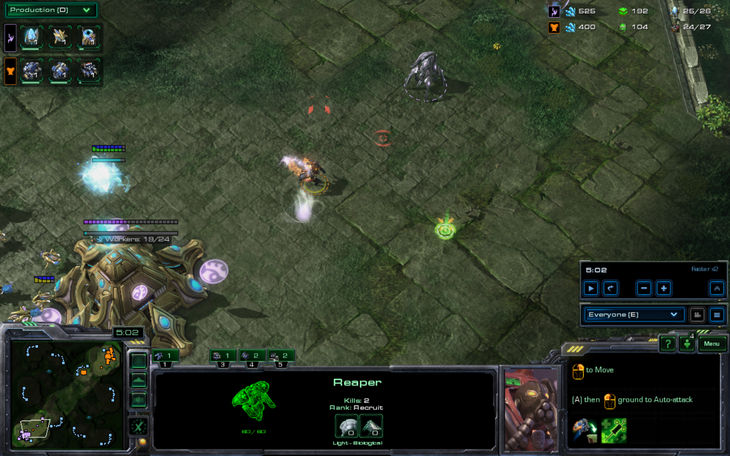 Anyway, so a reaper got into The_Templar's base and started working on a few probes until the zealot caught up. 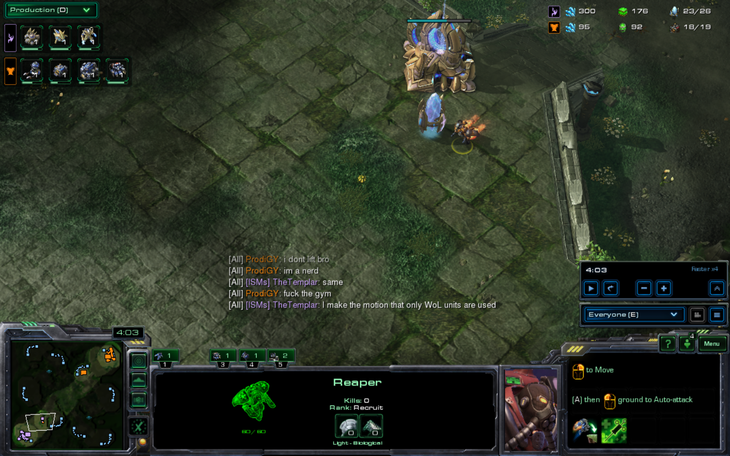 The reaper decided to kite the zealot even though The_Templar's micro is so bad that GumBa could probably get 10 more worker kills. 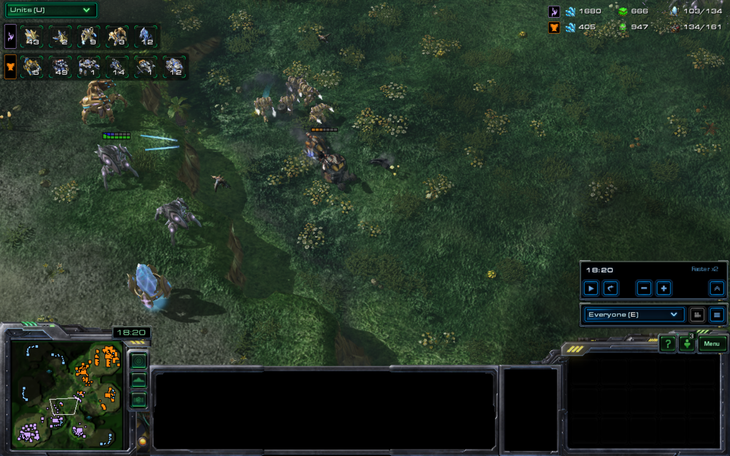 As soon as the zealot dies, a stalker comes out. 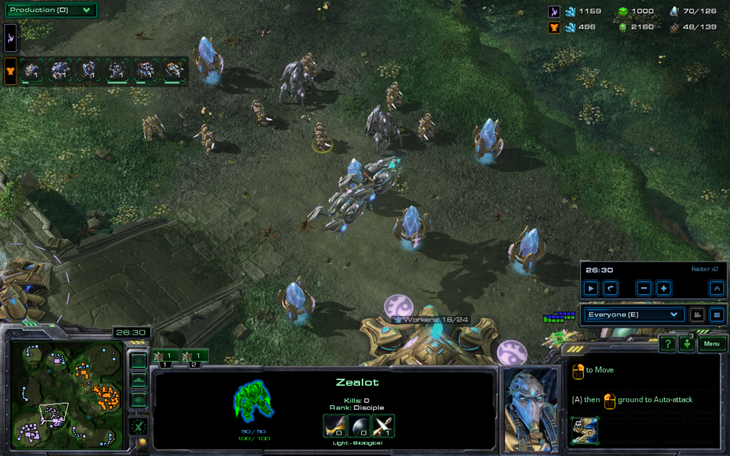 Sort of like BW with zealots and dragoons, except with teleportation! Four gateways! This really is early WoL! 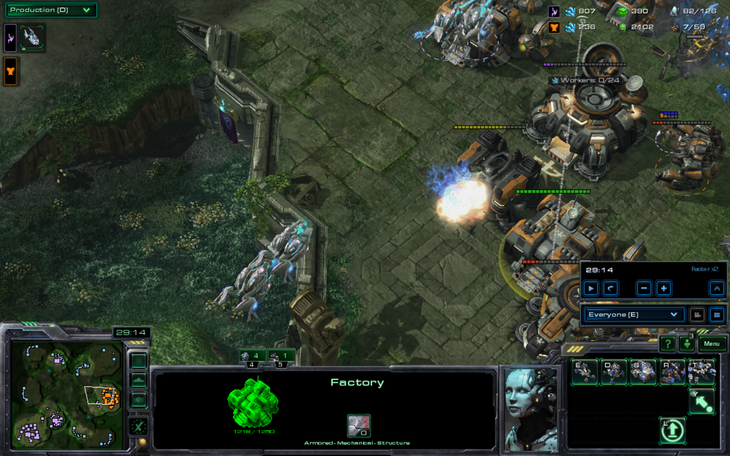 Meanwhile, GumBa goes for the Destiny Cloudfist build. This game is seriously meta. 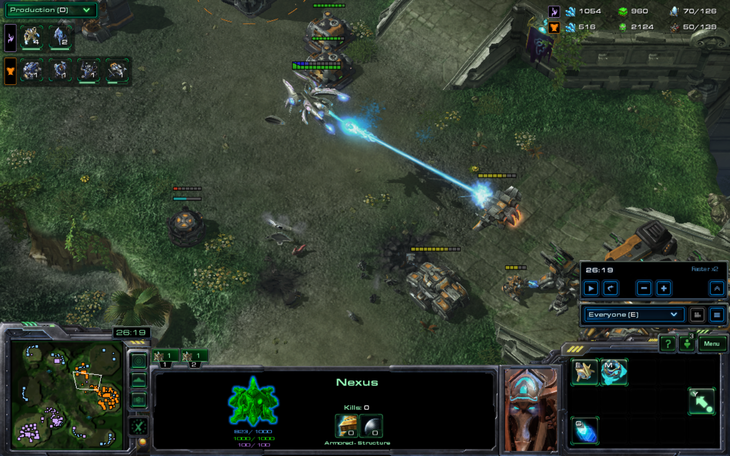 Since this is WoL, you have to get hellions not widow mines. The reaper scout was irrelevant anyway, he had already seen the other three gateways. All GumBa has to do is defend at home since he'll be way ahead if he does. One of the MULEs malfunctions and GumBa pulls workers to fix the MULE. He also happens to be building a bunker. 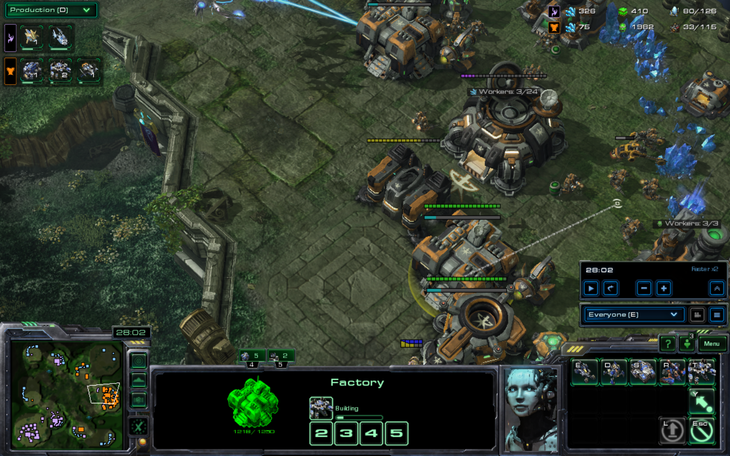 Due to #TheTemplarMicro, GumBa manages to hold off 7 stalkers with hellions and workers. 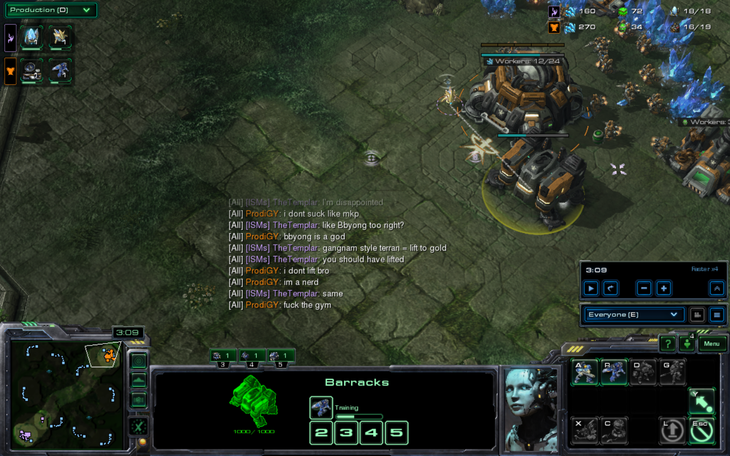 The_Templar decides to try again and warps in 4 more stalkers, once again bringing him up to 7. Because the last attack went so well. GumBa has a tank in position by the time The_Templar attacks again. The_Templar backs off to warp in some zealots and attacks again. 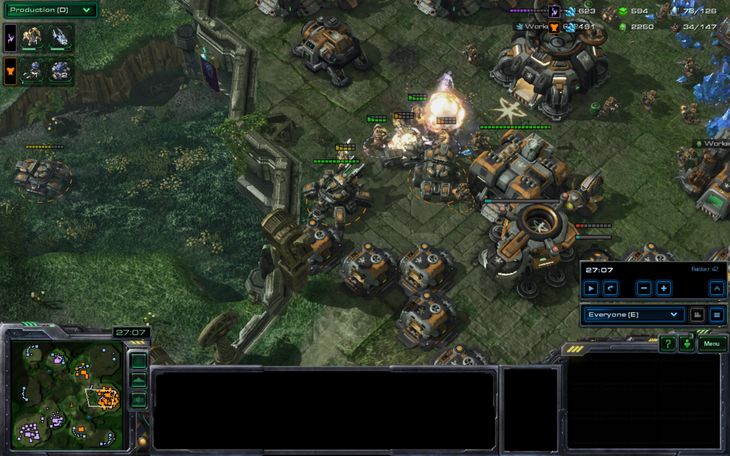 He manages to snipe the tank but he takes moderately heavy losses and another tank is about to finish. And The_Templar is forced to retreat a second time. 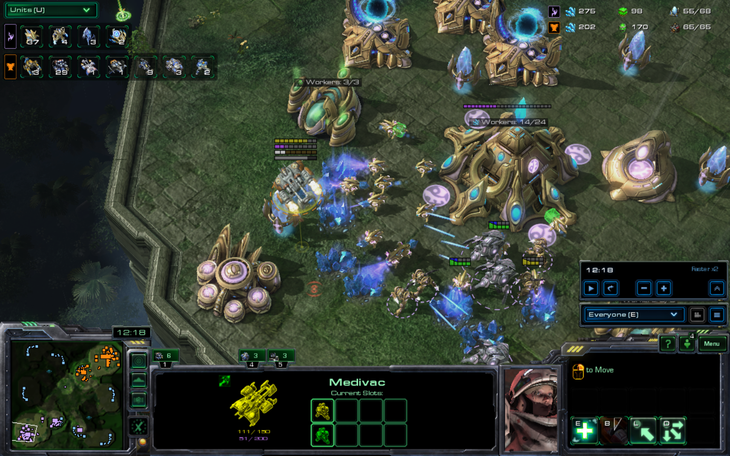 Hellions and medivacs are pretty good against 4 gate stalkers. On the third attack, The_Templar manages to kill the tank again, but the hellions have been fueling up on some experimental gasoline or something because they clean up the stalkers all by themselves. 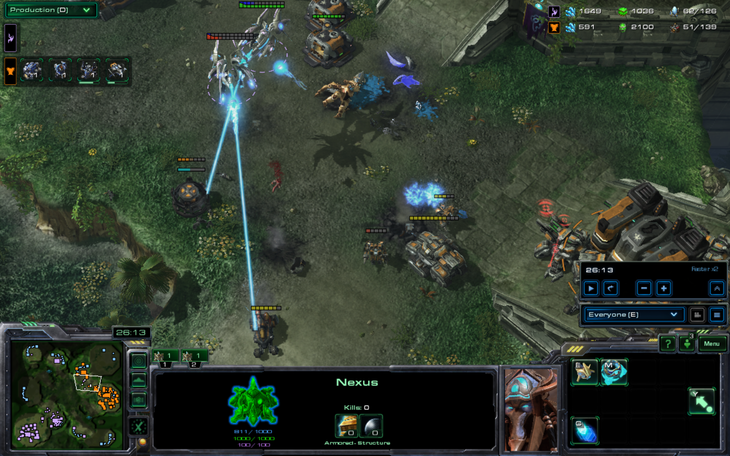 Meanwhile, GumBa goes for the amazing 2 marine drop. The_Templar is practically shaking in his boots. 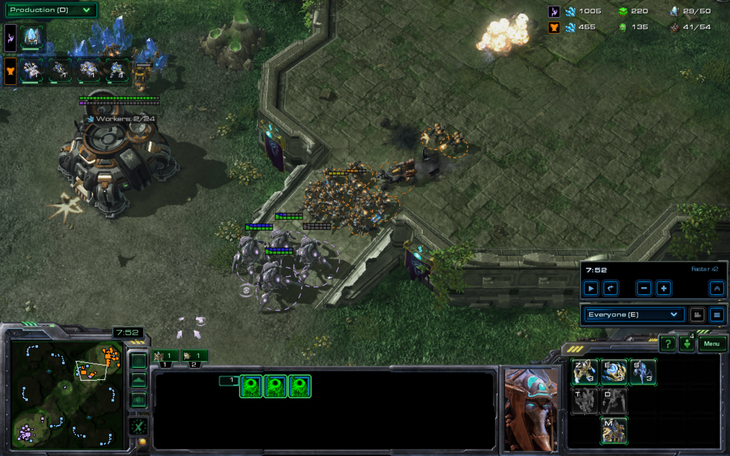 Obviously 2 marines and a medivac can kill 2 zealots and 2 stalkers. 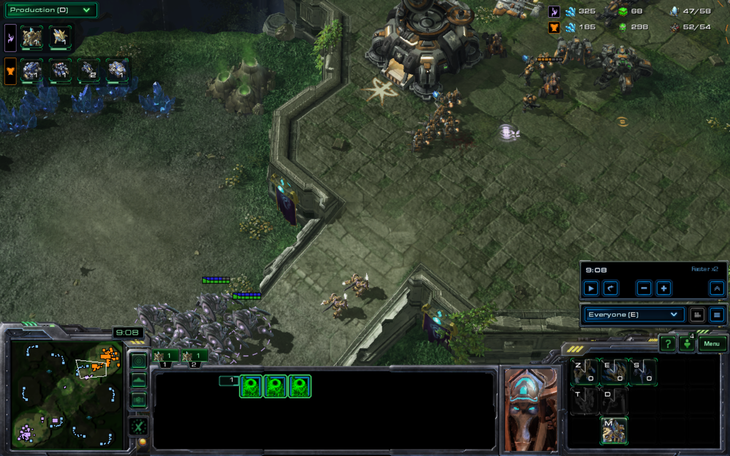 I was too busy laughing when I saw 2 marines being dropped in the main. GumBa has a lot of hellions. And he continued to get tanks. Hellions are so OP they can destroy buildings. They also got #1 on the unit PR from Darkhoarse. 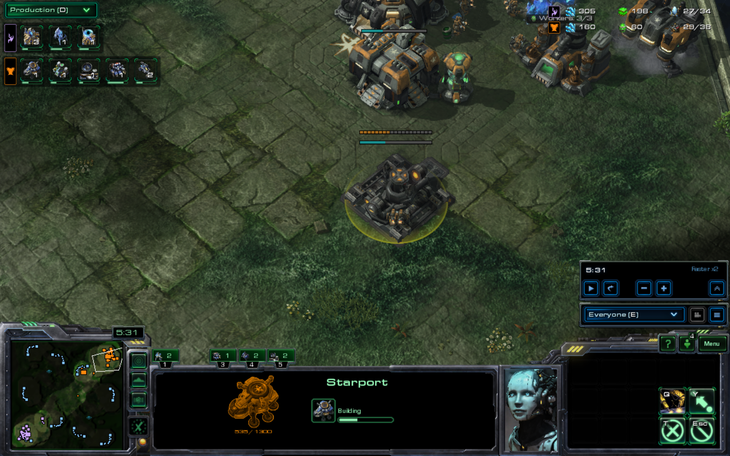 Oh by the way, GumBa is going mech versus protoss in WoL on Steppes of War. This game still doesn't make sense and we haven't even gotten to the good parts. 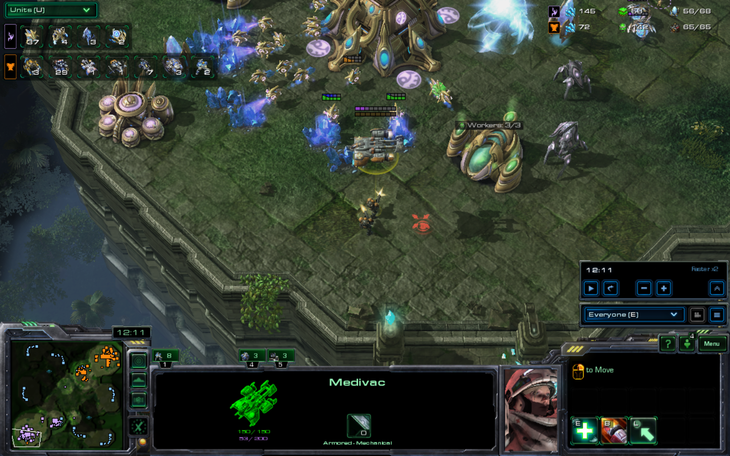 Hellions run out onto the map and The_Templar lands some sick FFs. That is almost a perfect square. 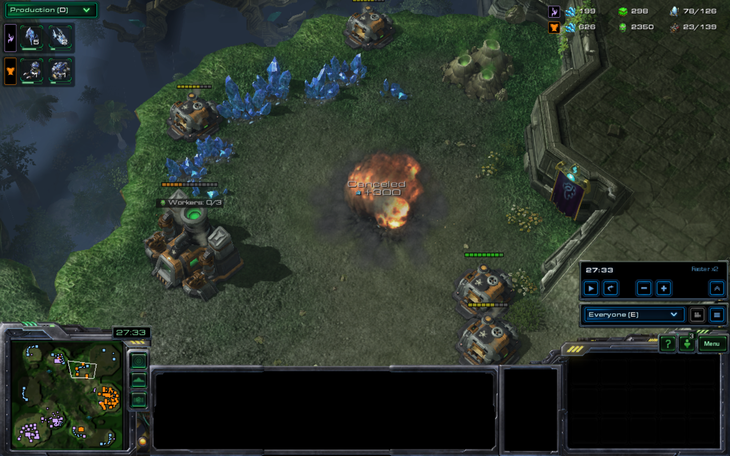 Since hellions have been killing stalkers more effectively than tanks, they are sent to kill the destructible rocks while the tanks just sit there. Maybe he was afraid of somehow killing his third? He is an MMA fan. 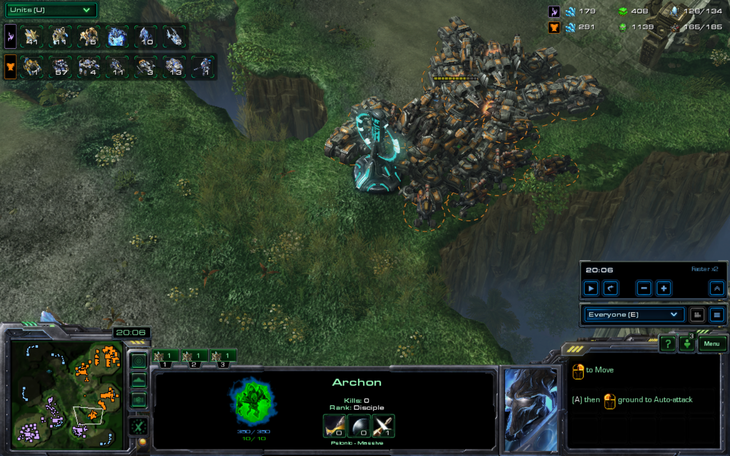 After working on the rocks, the hellions go out and try to snipe zealots. Meanwhile, The_Templar has secured the gold base closer to GumBa, because this is the gold he's used to taking when playing on this map. 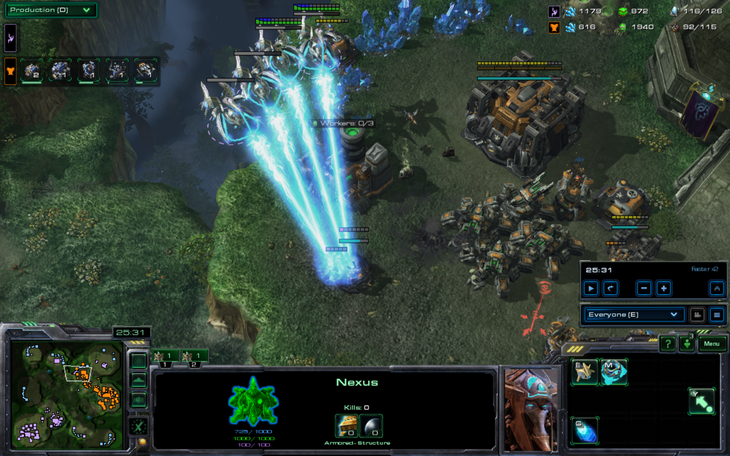 A hellion drop makes it into the natural expansion. 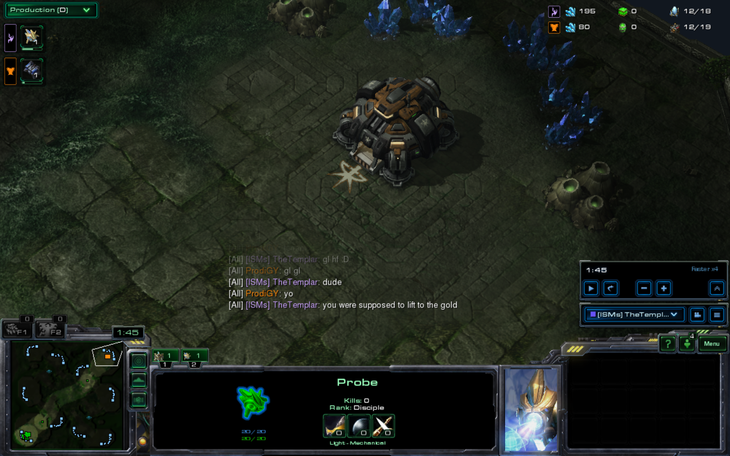 Quite a few probes die. Resistance is futile, dear probes. Don't even try lining up. The_Templar accidentally, also known as brilliantly, sets up a zealot trap when the hellions try to run to the gold base and kills three of them outright. 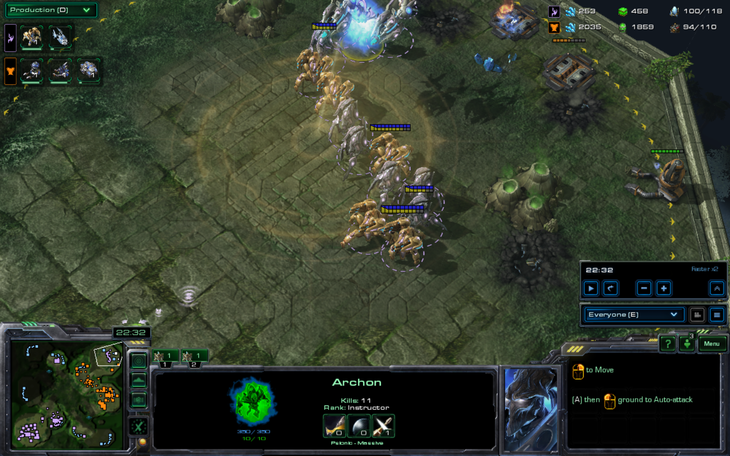 The fourth is later killed by two stalkers at the gold. 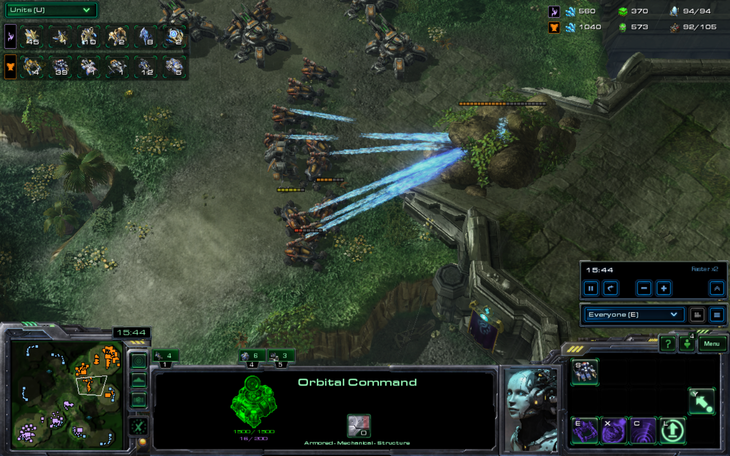 The_Templar lands some force fields at GumBa's natural ramp in an attempt to catch the hellions. 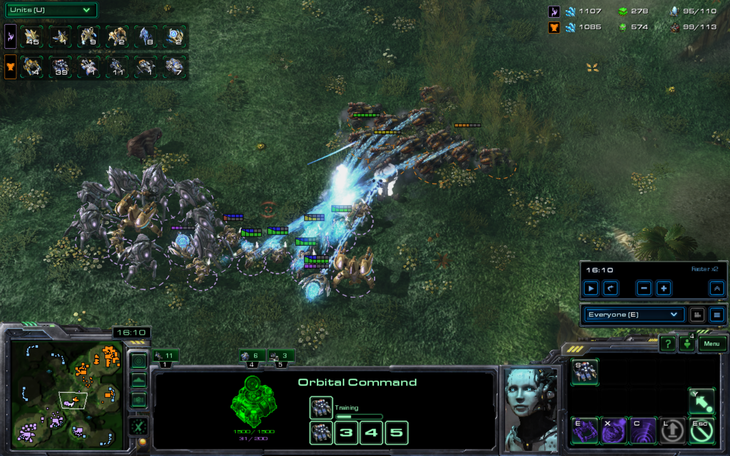 This works pretty well..
…but attacking into 12 seiged tanks with stalkers and two immortals is a really bad idea. Cannons go up at the gold as the hellion is cleaned up. However, GumBa killed a lot of workers and has taken a very comfortable 40-50 supply lead. 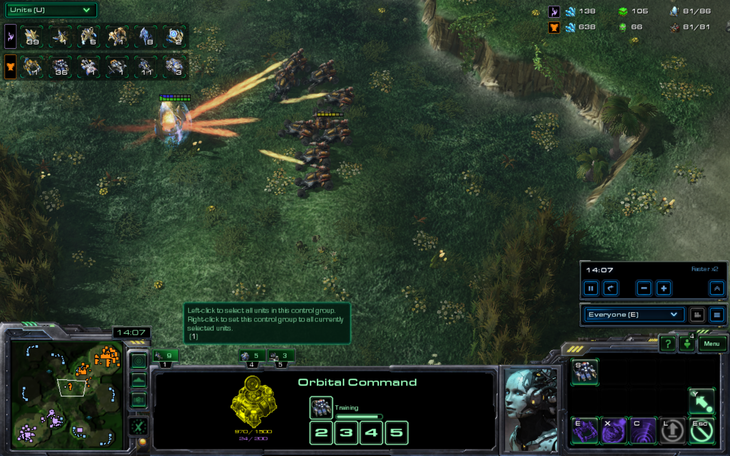 He launches a massive attack onto the gold base of The_Templar. The_Templar is fed up with this and runs into the natural. 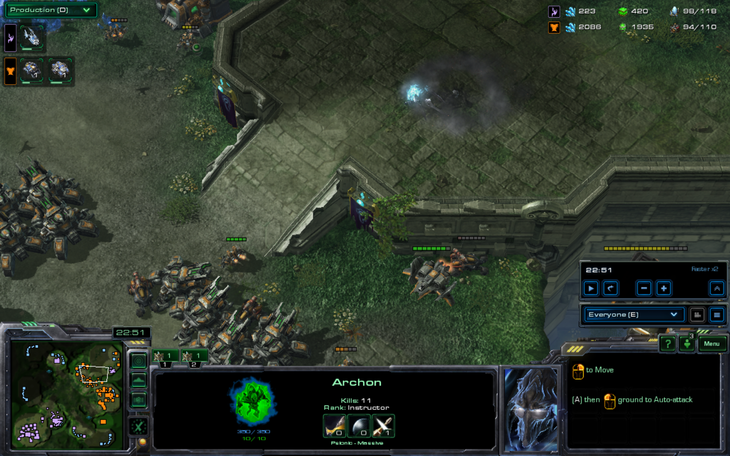 He kills the CC and the defenses before going up into the main. 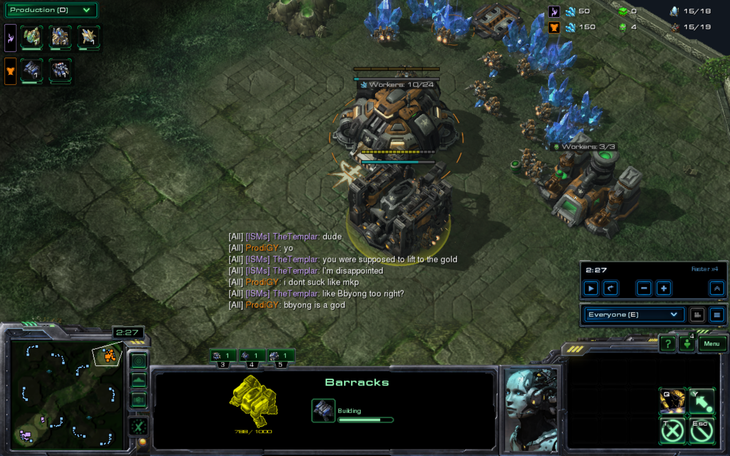 Meanwhile, GumBa has killed the gold base of The_Templar and is going back to his base with his huge tank count. 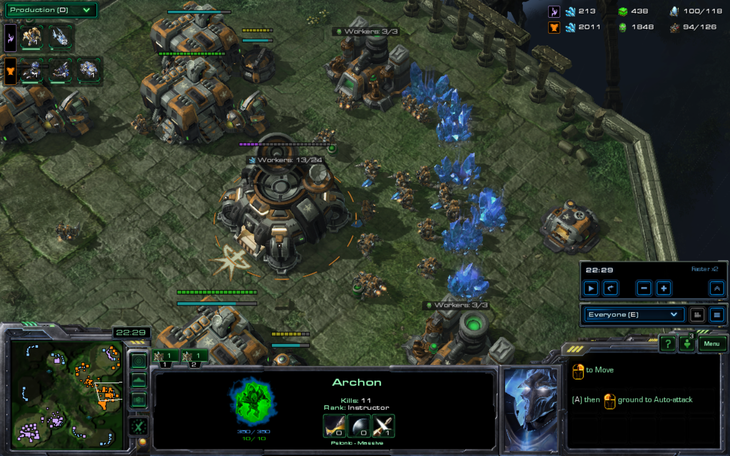 The result is that The_Templar is trapped in GumBa's main base with his entire army. 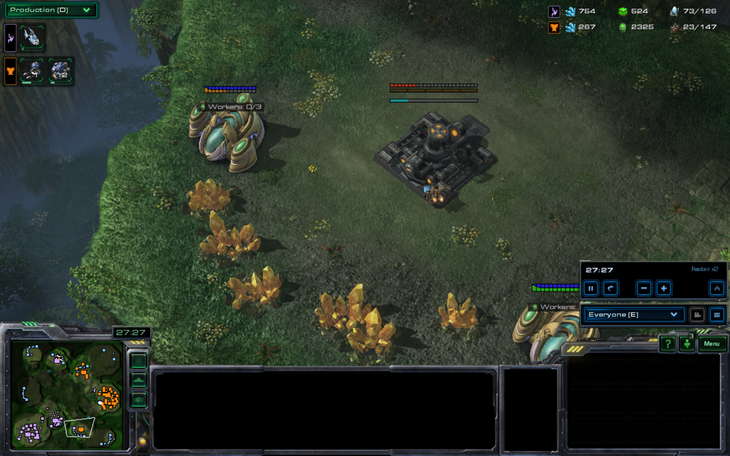 However, The_Templar stays outside tank range and threatens to snipe tanks with immortals and void rays if GumBa tries going into the main. The result is that GumBa wastes scans… and The_Templar gets to clean up the entire main. 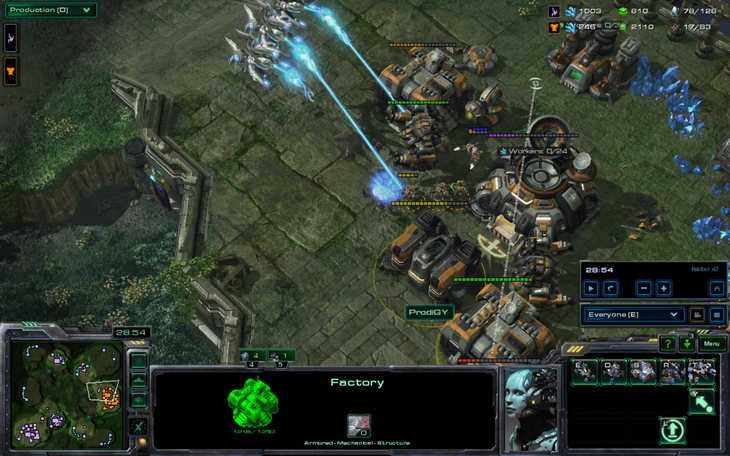 The factories and starport get out, but the main CC dies. GumBa has managed to keep his third base, mostly because The_Templar actually didn't know that that was actually a third base. 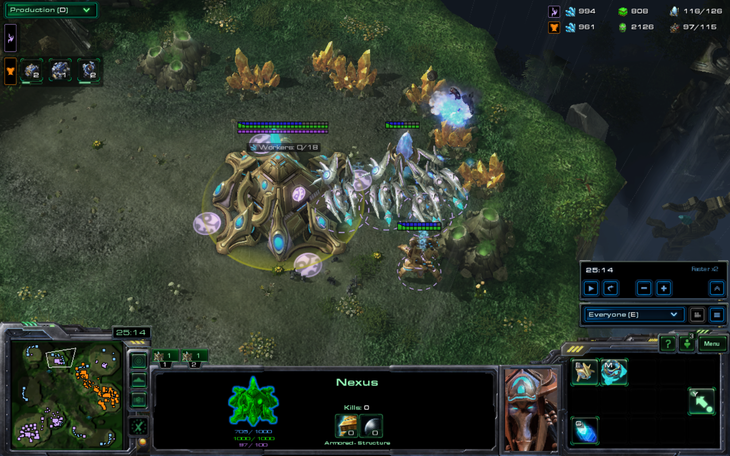 The_Templar always just took the gold base as the third when playing on this map. GumBa is apparently very nervous as he scans the army despite the fact he can see it with his buildings, and he's seen it already as it killed his main. 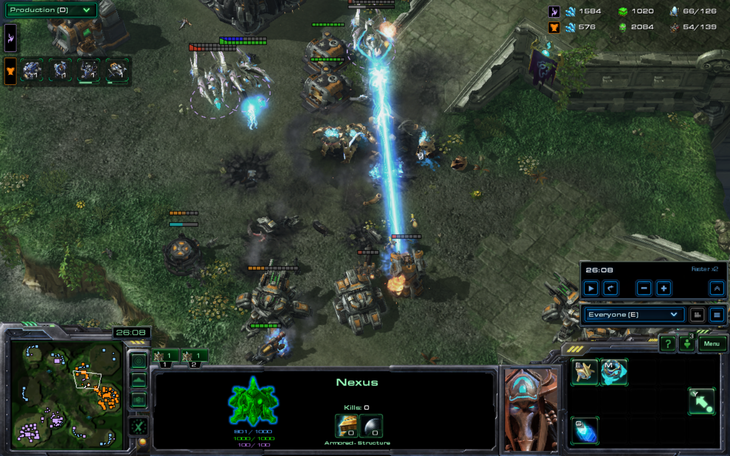 A stalker is sent to see how bad the contain is. GumBa goes for one of the semi-islands, but The_Templar has amazing star sense and finds it almost immediately with a void ray. However, he still can't break out of GumBa's old main base. 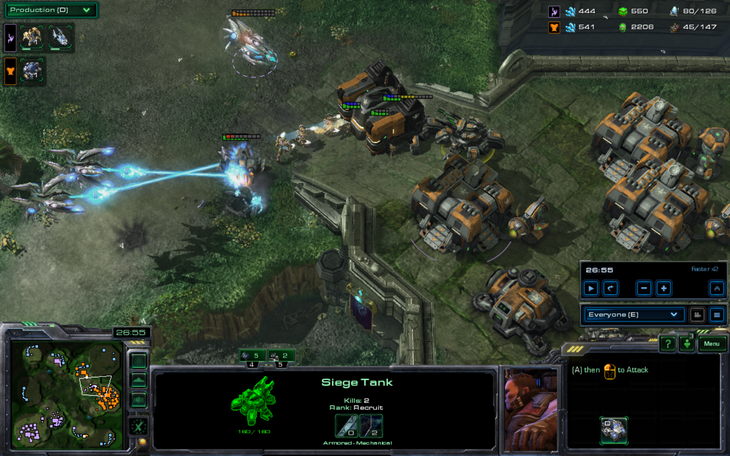 GumBa starts building turrets around his ridiculous number of tanks. This is the one time that tanks actually counter immortals. Screw the rules, I have money tanks! 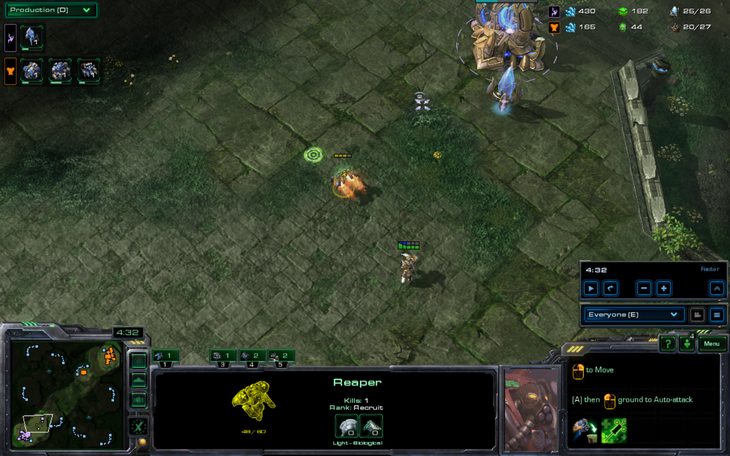 After cleaning up a hellion at his desperation gold base, The_Templar goes for the natural with 4 void rays. 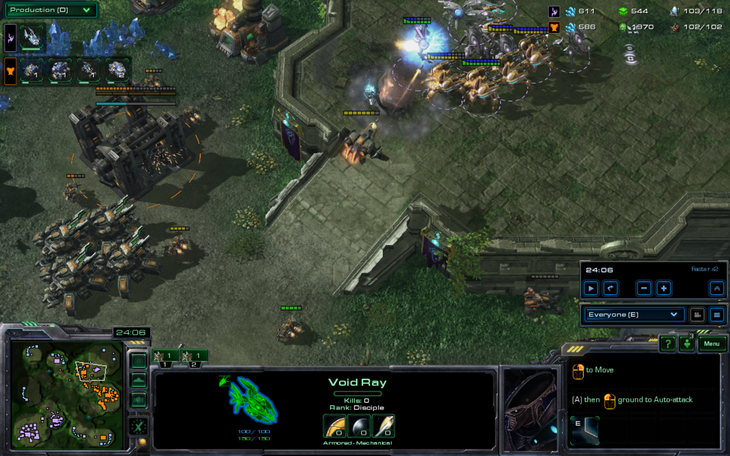 Even this number of tanks can't kill void rays. 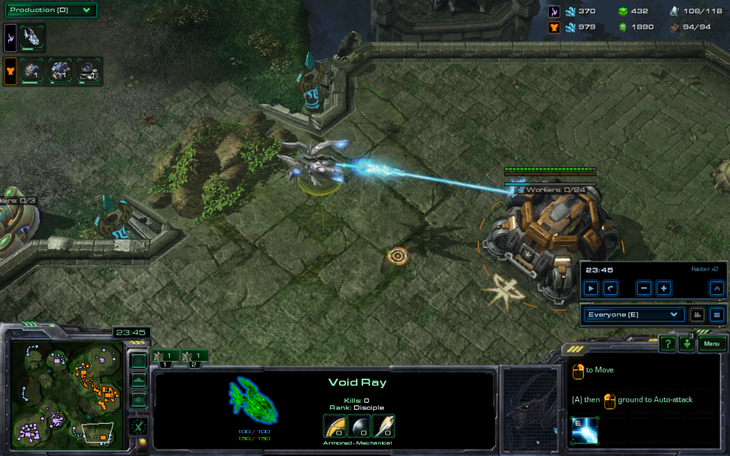 The_Templar picks off 5-6 tanks with his void rays, which encourages him to try to break the contain. He does, in that he loses everything that was being contained. However, GumBa is reduced to rubble in his natural expansion once more and is frantically building one viking at a time. If only he had remembered to put a reactor on his starport. The_Templar, who is still mining a small amount from his natural, has built up another gateway force. He is still terrible at upgrades. Another attack is launched and GumBa doesn't quite have enough to defend, although he gives his best effort. Long death animation. That SCV was a rebel. 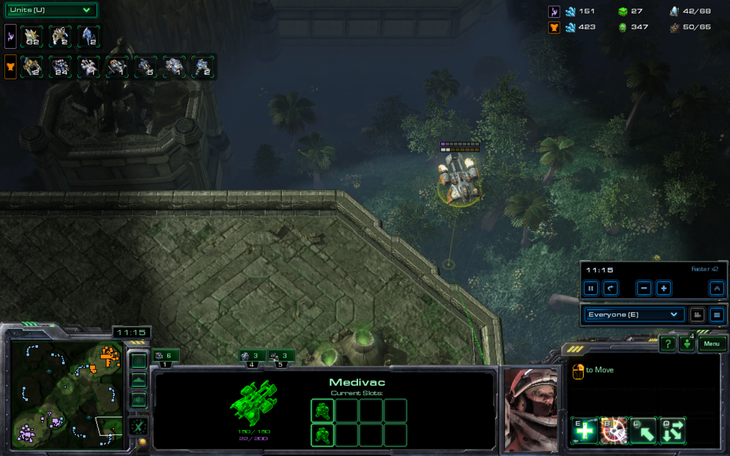 The_Templar employs the base trade, one of his most refined arts, in order to scrape up a second legitimate win against GumBa, who was silly enough to waste the one time he got his main race to go mech against protoss. 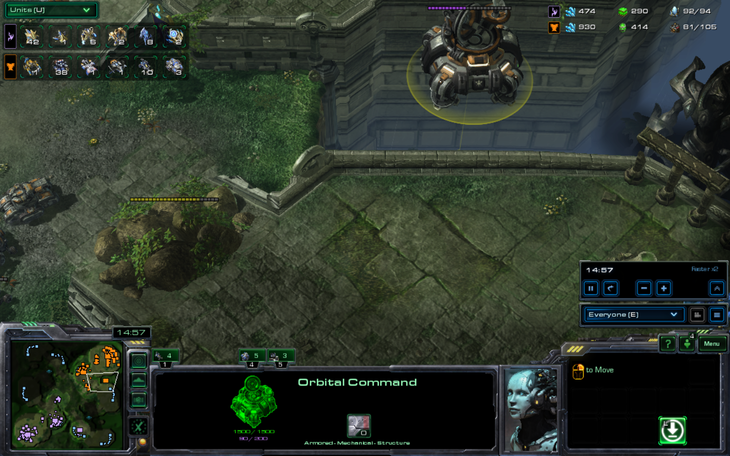 However, The_Templar still needs to win 2 more games in a row, when he's tried the silliest builds over and over. And GumBa gets to pick the maps from now on. After the base trade, GumBa would have won if he had gotten enough anti-air up to deal with the 'obvious' void ray switch, but then there would be no story after this. The_Templar accidentally, also known as brilliantly, sets up a zealot trap when the hellions try to run to the gold base and kill three of them outright. Rofl. This is what separates the men from the boys. 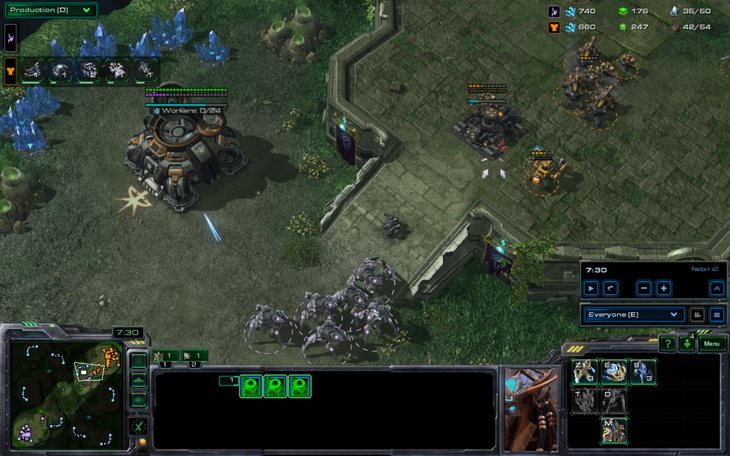 I'm sorry D: my Terran play was for some reason terrible this series. 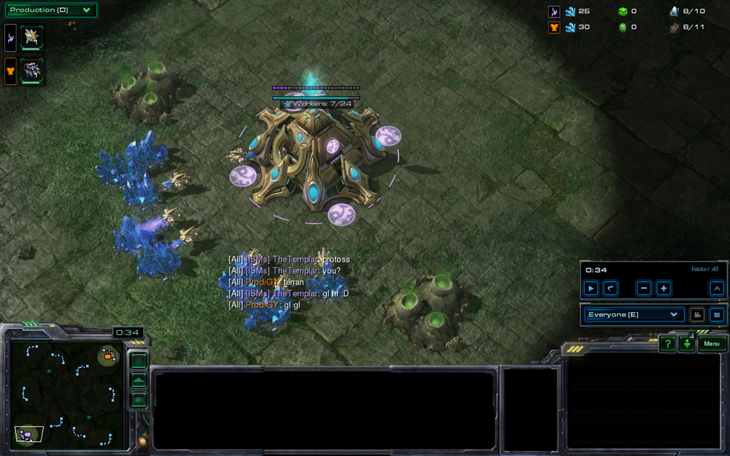 hellions killing stalkers? What sort of black magic caused that? Everything is fair on Steppes. 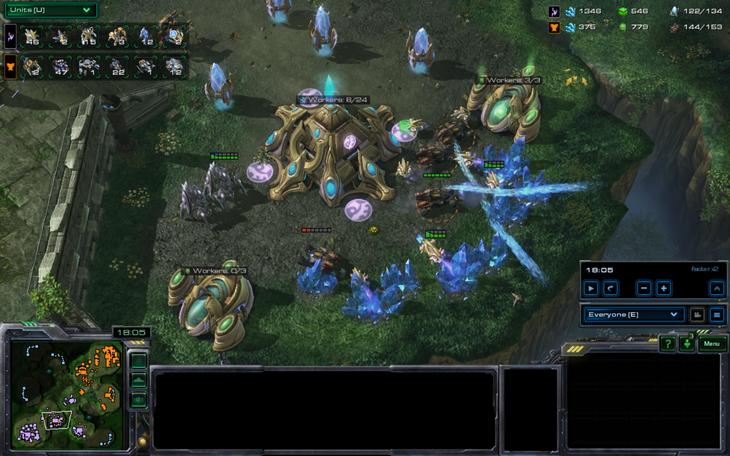 As a Zerg player. I agree. I'm guessing #TheTemplarMicro was used. Did i do that right ? 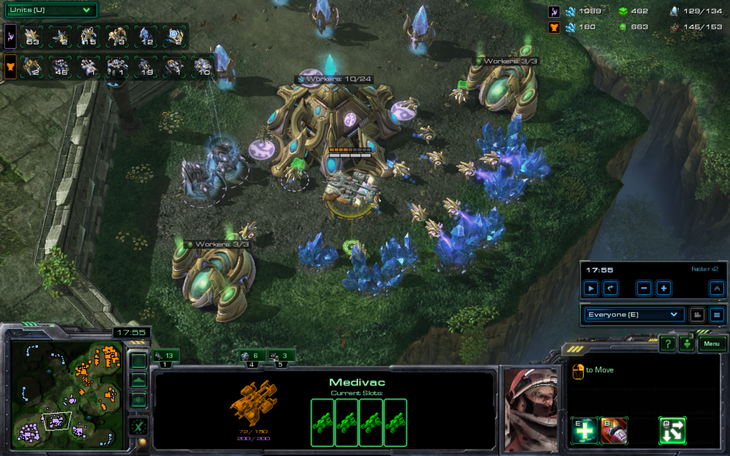 Only I used #TheTemplarMicro there.